The new guy fits right in. He's been taking afternoon naps with Billy. Apparently being reasonably polite, too, since Billy has neither swatted him into next week nor gotten up and left. 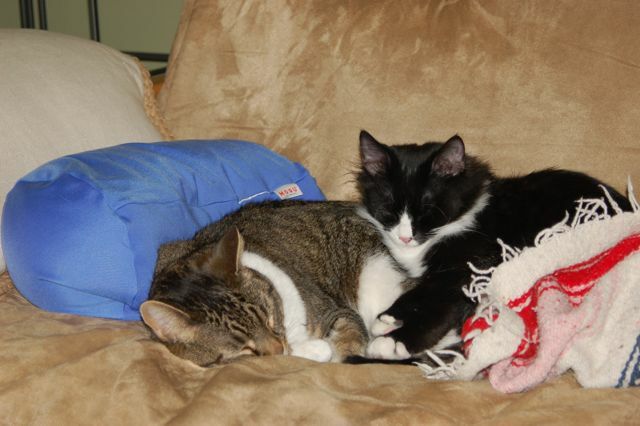 Billy & Penwiper Napping Together. We're very happy, since this is more or less exactly the outcome we hoped for.